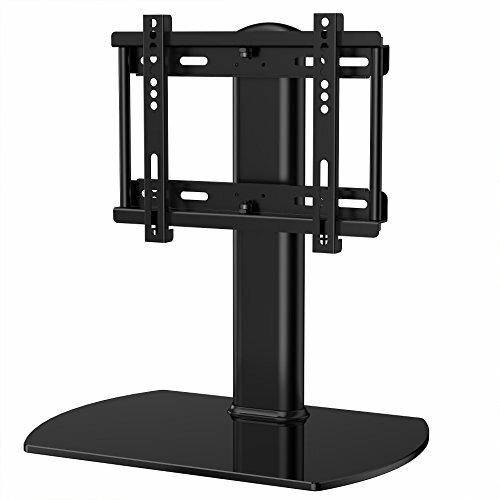 Fenge FITUEYES TT104001GB Universal TV Stand/Base Swivel Tabletop TV Stand with mount for up to 32 inch Flat screen Tvs/xbox One/tv Component/Vizio TV. 8 mm black tempered glass. All metal and glass construction. 6 pieces runner pad on the bottom of the base make it stable. Easy to use instruction manual for quick and easy mounting with fittings provided. Please contact us if you have any question. We are happy to assist you and all emails will be responded within 24 hours. If you have any questions about this product by Fenge, contact us by completing and submitting the form below. If you are looking for a specif part number, please include it with your message.